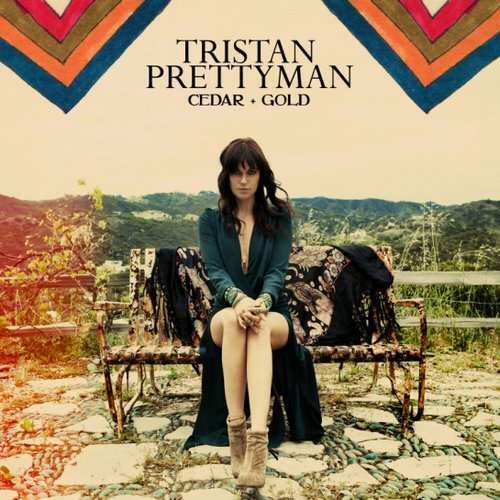 Just when I was starting to lose faith in the music industry, Tristan Prettyman becomes my hero. Her new album Cedar + Gold was exactly what I needed to start my fall off right. I can't listen to it enough. I hadn't heard of Tristan until my friend from college, Steve Miller, moved to Los Angeles and started playing with her. Even that didn't make me really seek out her music. But last week when I heard of her new release, I decided to check it out. I'm so glad that I did. Her sound is like a mix between Sara Bareilles and Missy Higgins. For me, that = love. And not only does she have a fresh, clean, beautiful voice, but I found some of the lyrics on the album to be pretty profound. This is one of those treasures that you can put on repeat, open the windows, and grab a tall cup of coffee and have a lovely morning listening to. In fact, don't mind if I do! There is one warning, however, an ugly little tune. With an explicit lyric in the song- "The Rebound". A nasty word. When it comes to the whole album collectively, you might just want to skip this one all together. Not sure why she even bothered putting this one on there. It's a good thing the other songs were so great, or this one would have completely ruined the entire thing. It starts off with beautiful piano. The chorus is incredibly catchy and heartbreaking all at the same time. As a writer, I can't help but wonder if these are just words she wrote on paper that she thought would sound good in a song ... or if they came from the deepest place of her heart. For those of you who know me, it's probably no big surprise that my favorite songs on the album are the most "chill" or mellow ones. This one won me over with the sound, but the fact that it's like reading someone's diary doesn't hurt too much either. I'm a fan of real and vulnerable. This one really reminds me of Missy Higgins. It has such a fresh sound. Just start the song, and the background singing will automatically win you over. It's a little haunting. When you get to the bridge, hand your roommate who just got dumped a box of tissues. She'll thank you later. Like I said in my review of Alanis' new album, stick to the heartbreak. You can never go wrong. Thank you, Tristan. It hurt you, but gave all of us something beautiful.